I just finished a Fan Dub of THE LAST ROMAN. It was one of the most difficult one but the film is so good that it was worth the trouble. Dubbing the widescreen Euro video with the English track was complicated as I will show here. In an odd twist, the US version is more complete and has more important scenes. I'll just show a few examples here. Most of the cuts were annoying. Probably 5 to 10 seconds cuts in two dozen places, mostly when a scene begins or ends, which was a nightmare to edit. The US edit also had several title cards not found in the European cut. 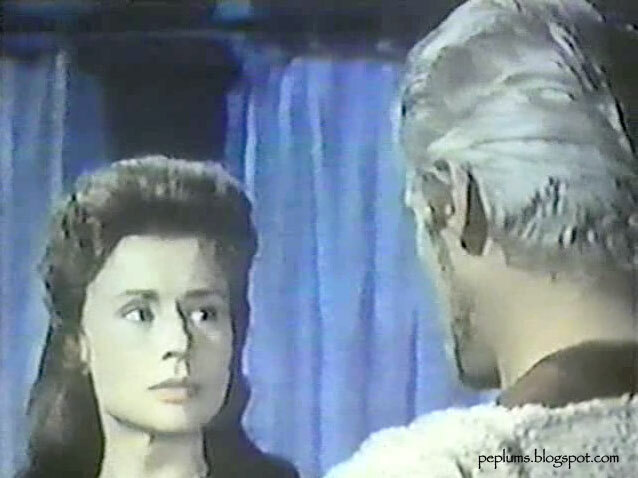 Abbreviated scene: In this moment Mathaswintha (Harriet Andersson) thinks Witichis (Florin Piersic) loves her. This moment is important, for a later scene, and yet it was cut in the European version. It happens just at the end of this moment. Julia (Ingrid Boulting) and Totila (Robert Hoffmann) are in love; this scene is also abbreviated considerably in the European version. 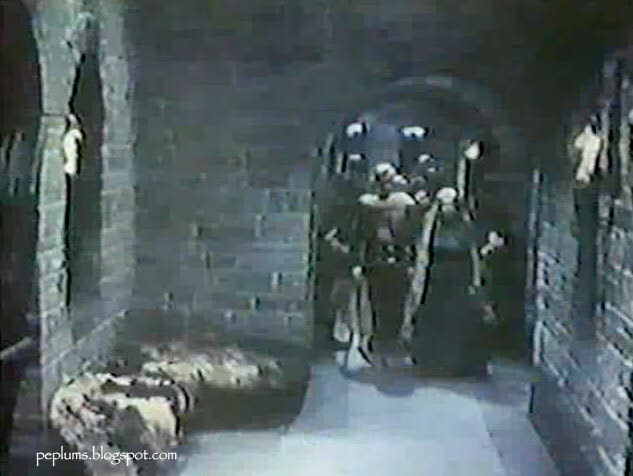 As an example of difficult edit, in the US version above, the scene starts with the characters standing in the doorway, while in the European version they're already beyond the doorway. These many little cuts complicated things immensely in matching the audio with the image.